Glue traps or monitoring stations are an inexpensive way to add an extra layer of control when dealing with pests. 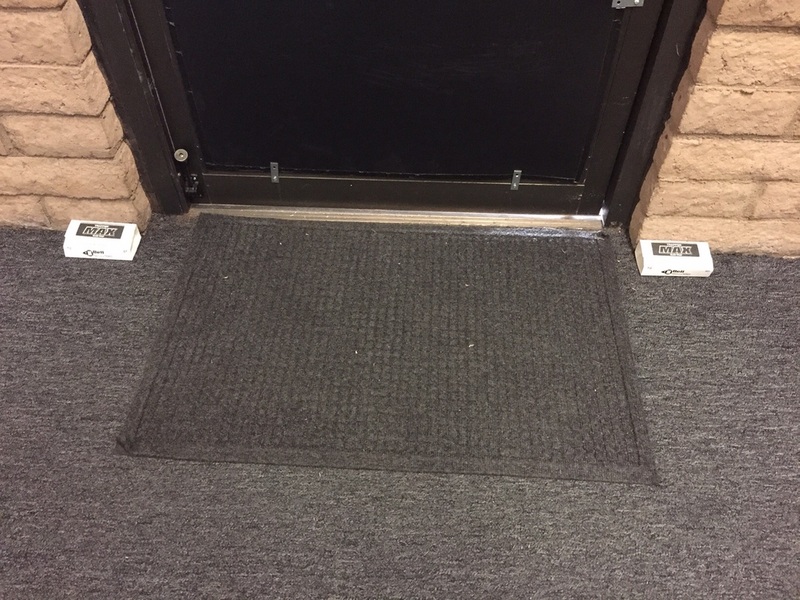 Glue traps should be placed directly against the wall on both sides of any entry door to catch pests as they come in. This can be helpful when trying to identify what types of pests may be around as well as what the population may be. If many pests are captured in a short period of time this can be an indication of a problem. Glue traps are one of the many tools available for controlling pests and only a part of a maintenance program, not a stand alone solution.